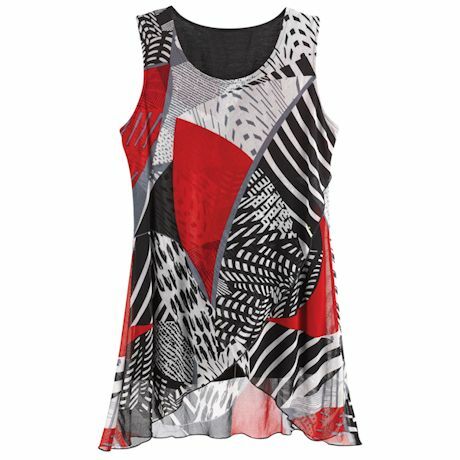 A criss-cross contrast of red, black, white and metallic make this tunic a blend of every right-now trend. 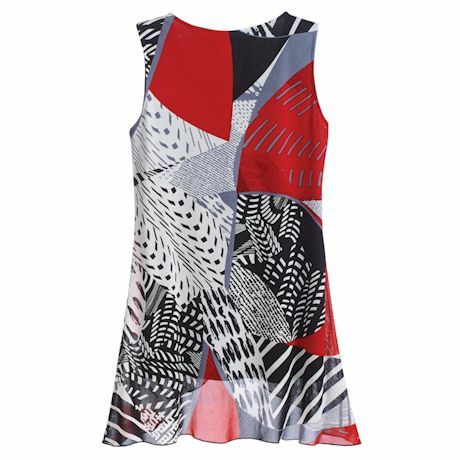 Absolutely gorgeous for a night out, the design extends on the sides to lengthen your look; integrated black underlayer tank makes it easy to wear. Machine wash. 95% polyester/5% spandex. Imported. S(6-8), M(10-12), L(14-16), XL(18), 1X(18W-20W), 2X(22W-24W), 3X(26W); 26"L front, 31"L back.